In Partnership with the NYC Department of Small Business Services, BOC Capital is offering 3% APR loans to perform on New York City contracts. Loan repayment terms align with the contract payment schedule. If your business is working as a prime or subprime contractor on a project with a City agency or the NYC Economic Development Corporation (NYCEDC), you may be eligible for a Contract Financing Loan. Loans of up to $500,000 at an interest rate of 3% APR are available to eligible* businesses. Closing fees apply. 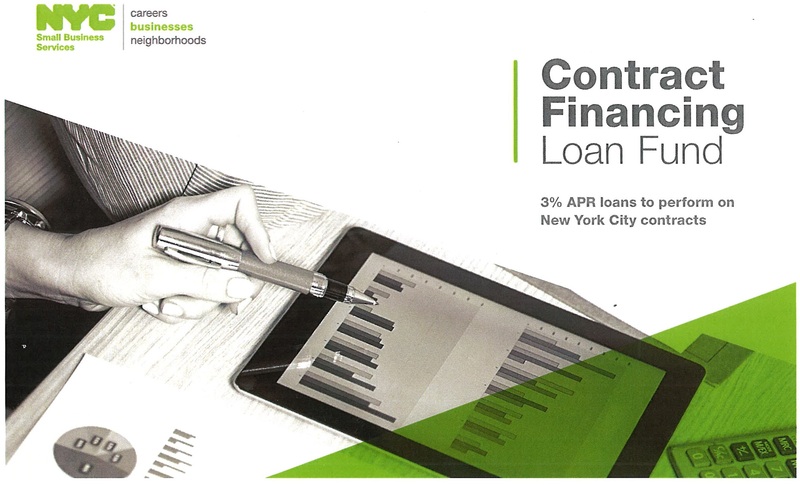 Visit nyc.gov/contractfinancing to get started.